The letters on my banner were made out of thin cardboard called chipboard. If you don't have any, the box from cereal or crackers works just as well. I obsessively hoard any piece of chipboard that comes into my possession for different projects! To make the letters, I found a font that I liked on my computer. I typed the letters large and then zoomed in on the screen to make them as big as I wanted. Then, I gently laid a piece of white paper over the screen and traced my letters. I honestly do not remember the name of the font that I used here....just choose one that will give you a letter that is wide enough to be cut out. Then trace the letters onto the chipboard using carbon paper and cut them out with scissors. 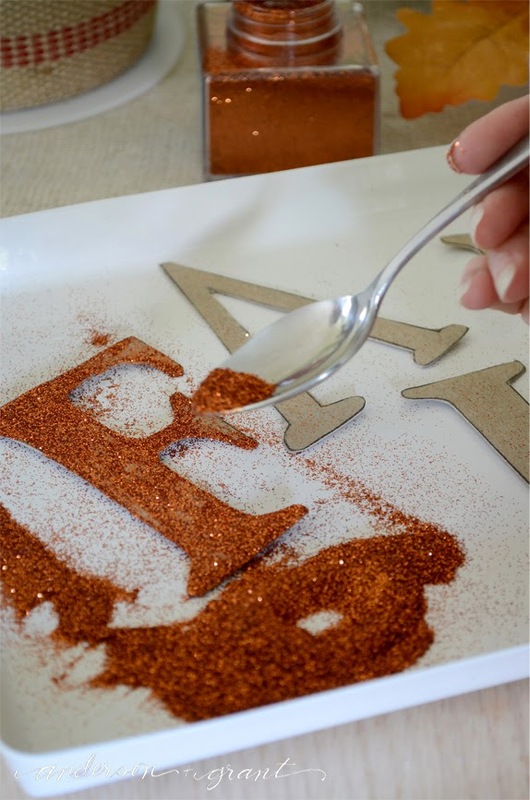 Coat each letter with Mod Podge and cover them in orange glitter. I found you will get better coverage with the glitter if the process is repeated after the Mod Podge has had a few minutes to dry. 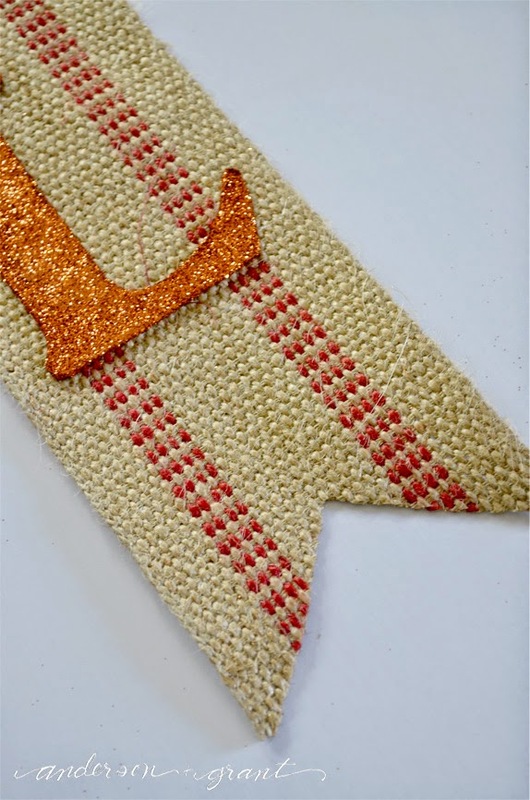 Cut a piece of upholstery webbing into a length of 40 inches. Bend the stem of the floral spray in half and then attach it at the top and middle through the webbing using floral wire. 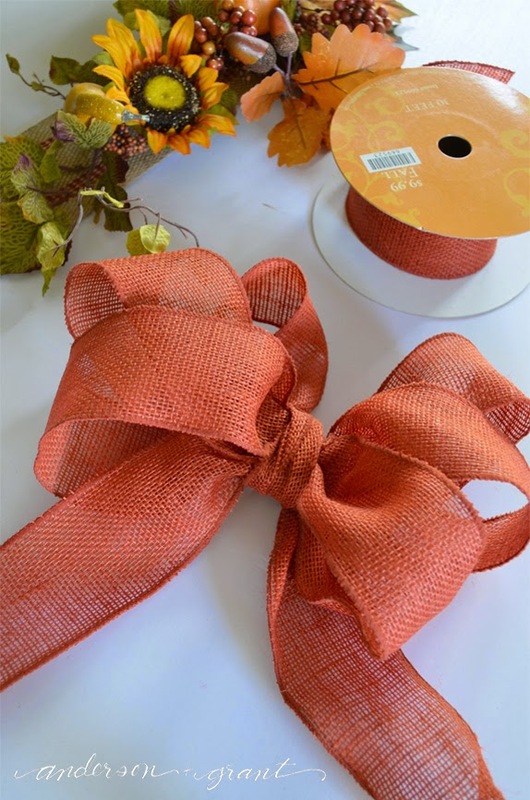 Create a bow using the burlap ribbon. 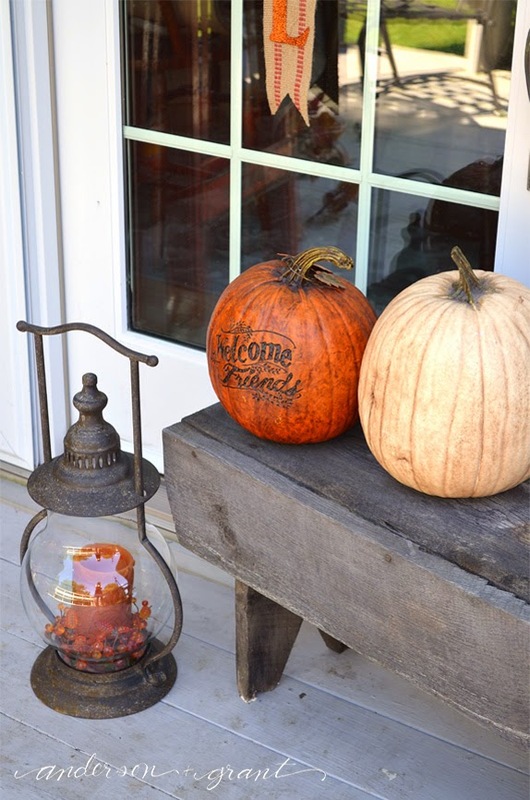 Attach it on top of the leaves with wire. 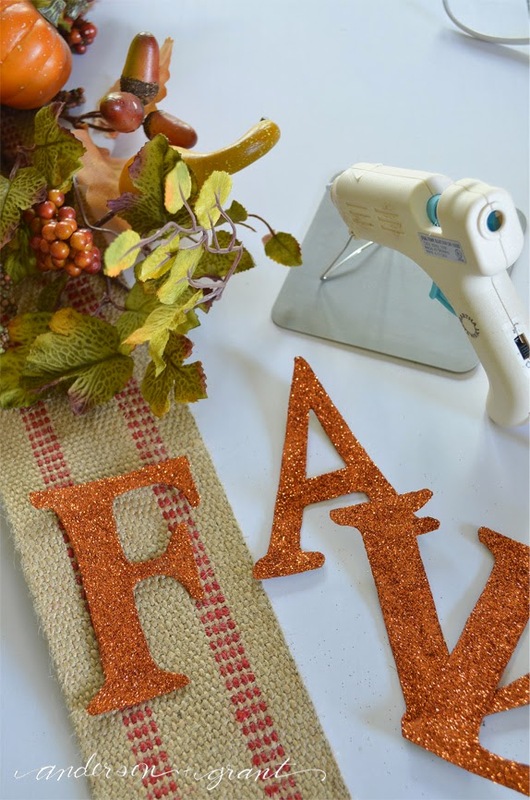 Glue the letters down the webbing using hot glue. 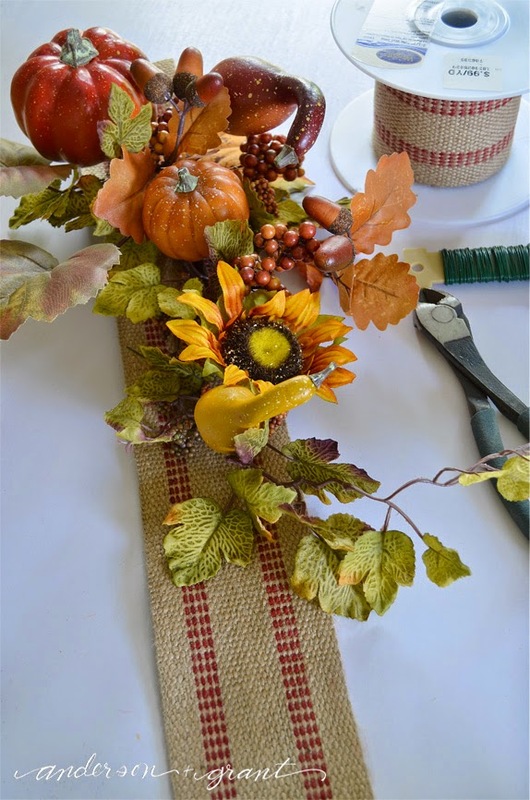 Trim the ends of the upholstery webbing and ribbon. 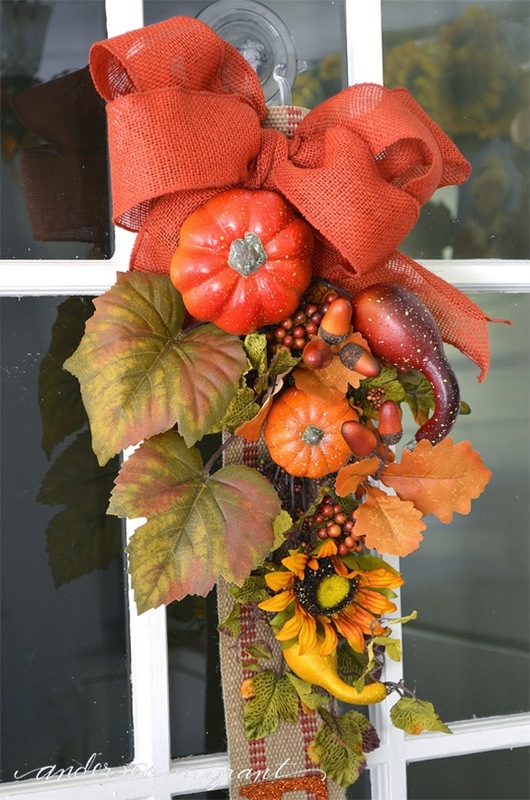 Attach a hook for hanging onto the back using either floral wire or jute twine. 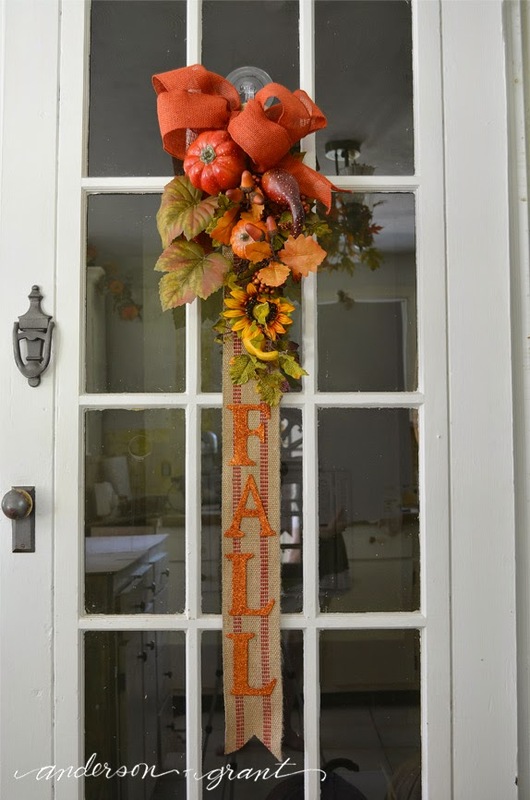 And your fall "wreath" is complete! Do you love it? 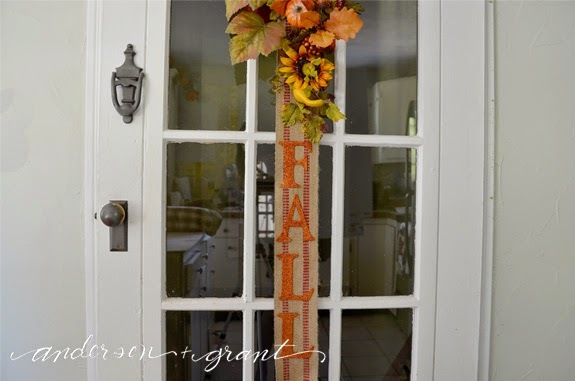 This fall banner is great for hanging down your door or on a narrow section of wall. 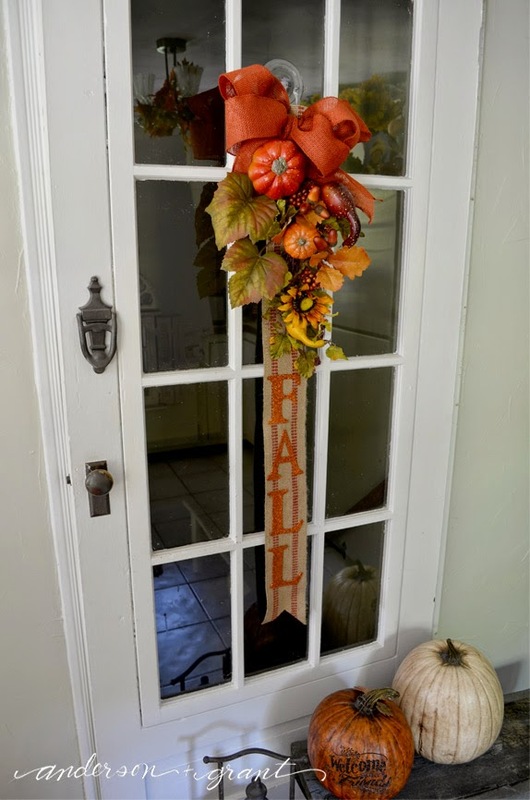 It would not be suitable for a door that is out in the weather, though. 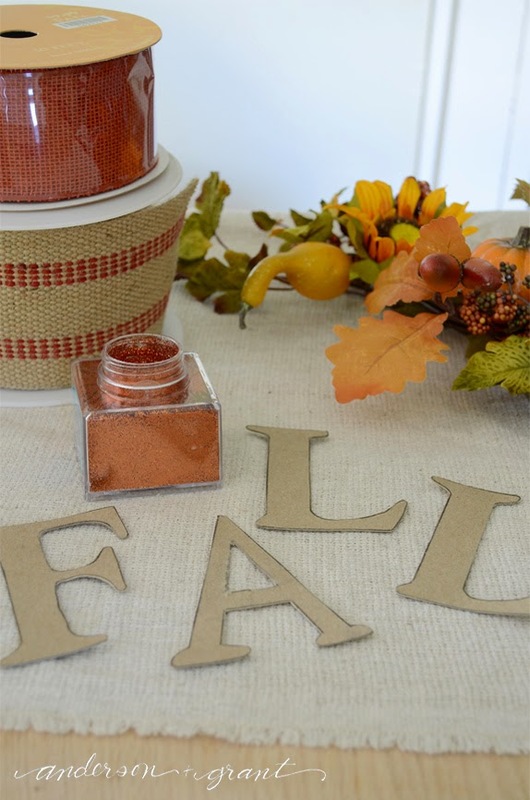 You could use wood letters instead and paint them for a similar look. 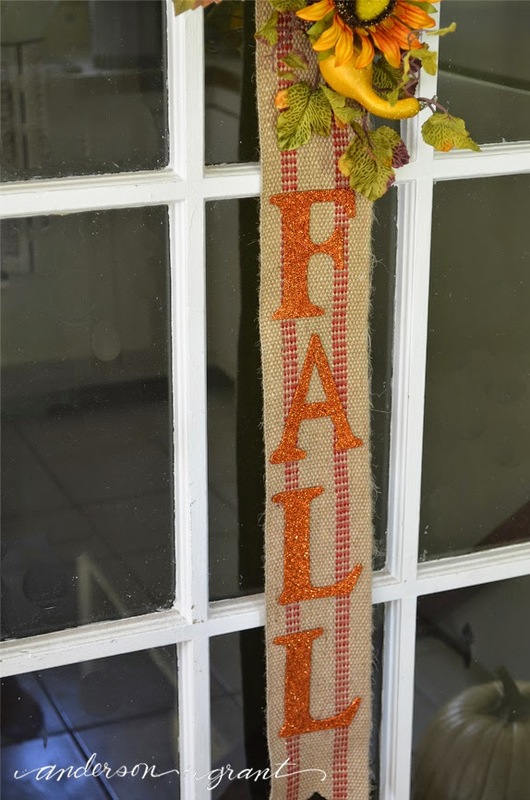 Change up the glittered word and floral or greenery at the top and you've got a banner good for any holiday or season. 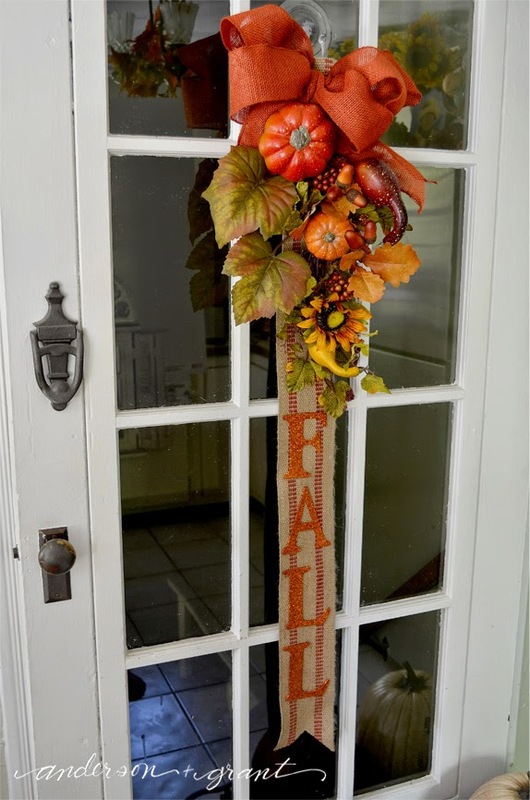 It is a very versatile project that can be customized to your own style. 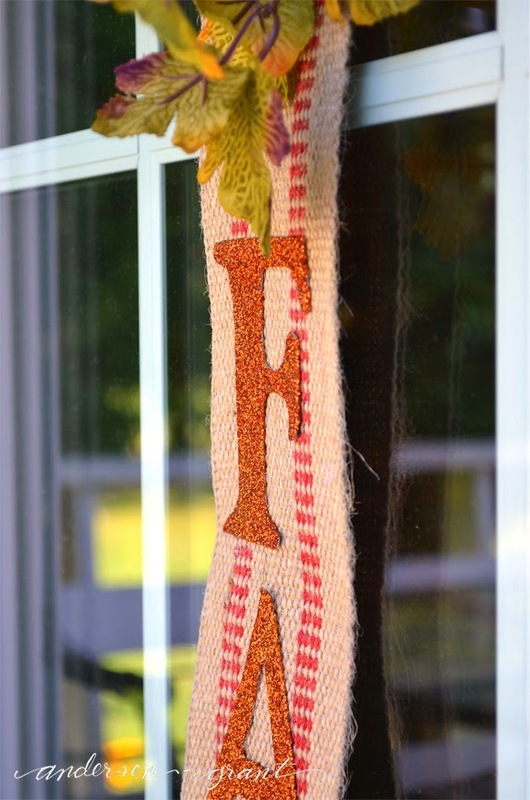 Do you think you might try making one of these for yourself?